My laptop was not working and that's why I had to stay away from my lappy for so many days. 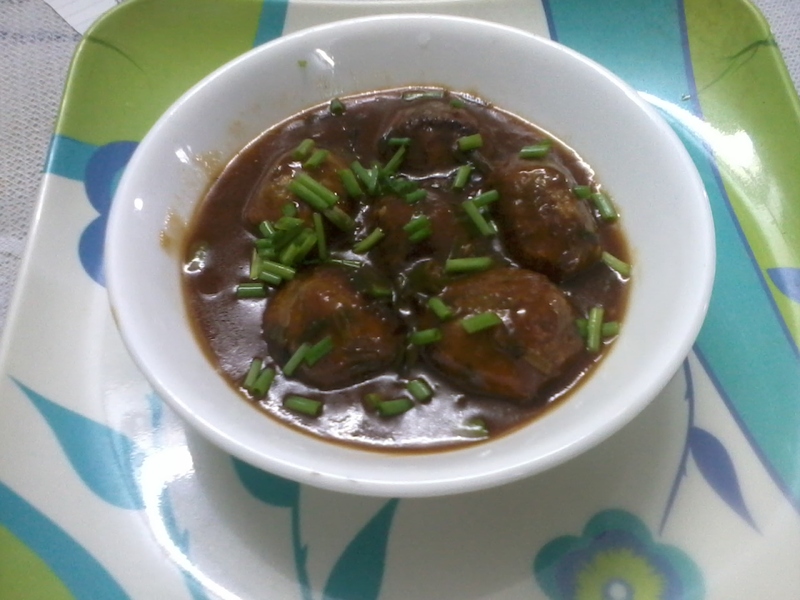 Today, I am posting "Vegetable Manchurian" which is a delicious and easy Indo-Chinese recipe. They are deep fried vegetable balls dipped in a saucy gravy. Kids usually don't like vegetables but they will enjoy eating this in Chinese style and I'm sure it will be a hit. There are two versions of vegetable manchurian - dry and gravy. 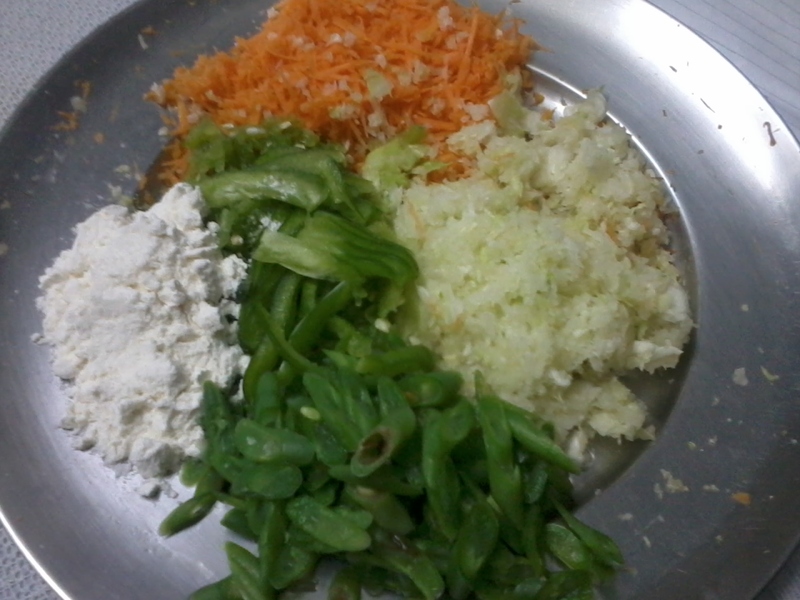 In a bowl, mix the shredded carrot and cabbage, chopped capsicum, beans, green chillies, 1 tsp oil, pepper powder, salt, maida and cornflour. Make small round balls from the mixture. 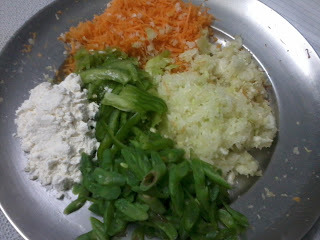 (Do not add water while mixing as water from the veggies are sufficient to bind them). 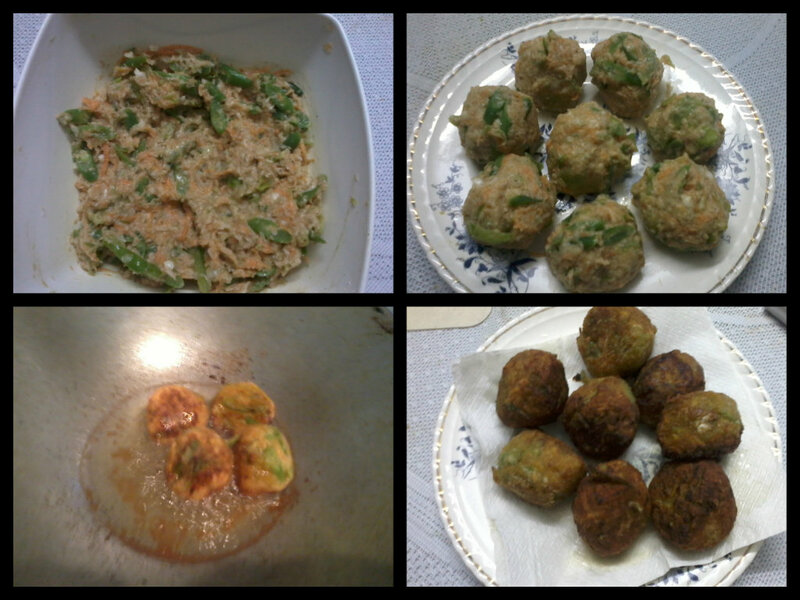 Deep fry the veggie balls till golden brown and shift them to a plate with a paper napkin to soak the excess oil. Add 1 tsp oil in a pan.To it add minced ginger, garlic, chopped green chillies and spring onion and saute for a minute. Now add the sauces(tomato, soy sauce, chilli) and again saute for a minute. Pour 2 cups of hot water, pepper powder, salt and let the mixture boil for a minute. Dissolve 2 tbsp of cornflour in 1 cup of water and add to the mixture. Stir the gravy properly and cook on low flame for 1 minute. 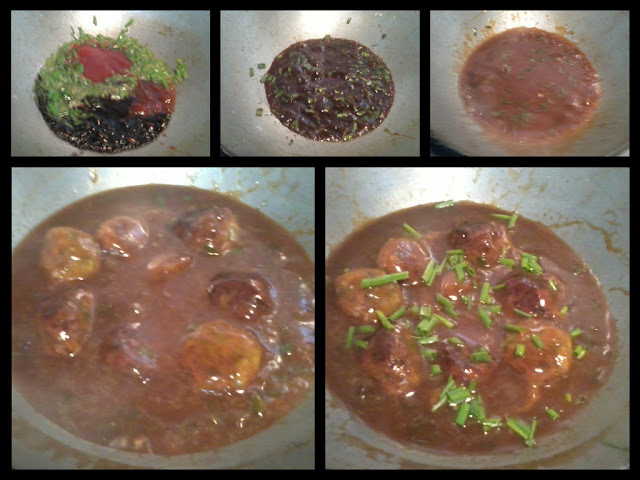 Now add the fried veggie balls and cook on medium heat for 2-3 mins. Serve hot with vegetable fried rice or noodles. Enjoy!!! Wow.. 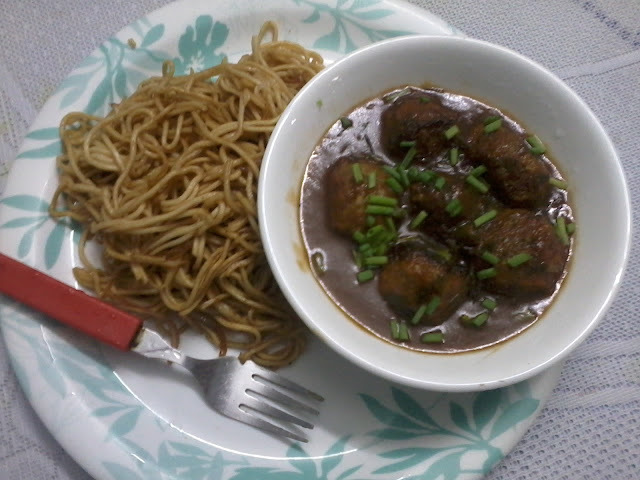 Awesome looking manchurian.. Perfect for a party always ! !